Angel with Champagne Behind the hype and glamour of Champagne there are a few annoying things when you look closer at this thriving wine region. A grower who was interviewed for the linked article said under the condition of anonymity that Champagne was the champion region on this matter (high yields), and possibly of the world. 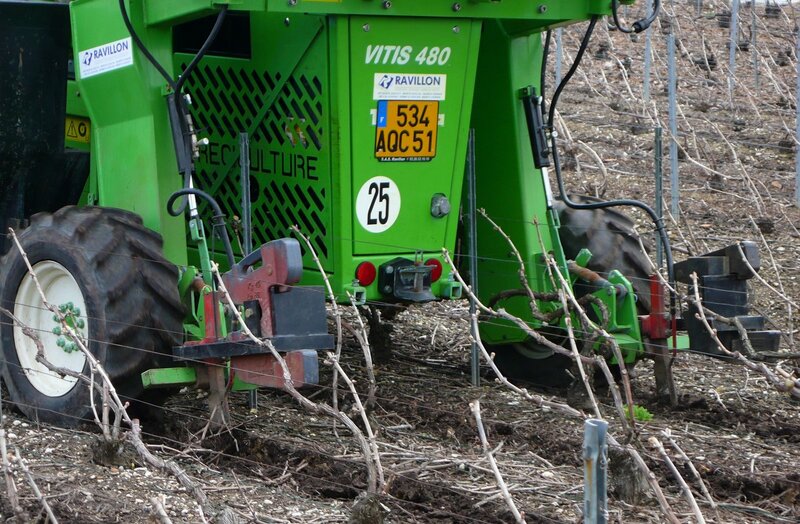 The linked article points to another highly-used vineyard additive in Champagne, Nitrogen. The Champagne winegrowers are also the only ones (with the ones of the Charentes region - a region in Western France) to make systematic sprayings of mineral nitrogen. Nearly 80 % of the vineyard surface in Champagne gets nitrogen every year, the goal being higher yields. And when you get higher yields you get vines that are more fragile and subject to disease. Unlike most of the other wine regions (and along Bordeaux), Champagne is largely resisting the move toward a vineyard farming preserving the life of the soil, mainly because business keeps getting better and because most growers are paid by the weight and not by the organic quality of their grapes. Pesticides (including herbicides and fungicides) have been singled out for a recent study by the French Health Institute (INSERM) about their harmful consequences, and in the linked study you learn everything from their introduction on the French agriculture to their different molecule types and risks. The report is at the same time long and detailed but gives a few welcome informations, like the enormous increase in yields after WW2, mainly thanks to these new products used in agriculture : tender wheat for example went from 15 hectoliters quintals per hectare to 70 today (page 6)... France is among the top buyers of pesticides, with 80 000 to 100 000 quintals a year. And the French vineyards which represent only 3% of the active agricultural surface uses 20 % of the pesticides. In this december 2006 article [this is only the 1st paragraph, the whole article is not online anymore] you can even learn more worrisome things : In this article, the local newspaper L'Union said that traces from 70 different pesticides had been found in the air in Champagne, and that these air counts had even found traces of forbidden pesticides..... Agriculture raisonnée mural Art The growers in Champagne are still in denial regarding the harmful side of pesticides and herbicides for the people (workers and residents), the soils, the water tables and the end consumers of the wines. On this odd mural found in Reuil (Champagne) you can read the strange sentence "Nous revivons grâce à la viticulture raisonnée" which means "We revive thanks to reasonned viticulture". Agriculture raisonnée is sometimes mistakenly translated by sustanaible agriculture, which is wrong (not that I consider this "sustainable" concept as of any value to begin with), as raisonnée just means that this viticulture keeps using all sort of chemical products, but supposedly in moderate (reasonable) amounts. We all know that anyway the chemical industry created new products that can be dosed in smaller amounts for a more efficient impact on the target, and the soils aren't better off with them I'm afraid. In this context, such a mural looks more than soviet-style propaganda to keep the local crowds loyal the conventional creed than a spontaneous adhesion in the "business as usual" approach. To drive the nail further in regard to the health impact of pesticides and herbicides, read this survey (Pdf, in French) made by Générations Futures, a non-profit group, where pesticides residues were found in hair samples taken from 25 people in the Medoc region, 15 being winery workers and the rest residents of the area. The good thing with hair is that it behaves like an open book on past exposures to chemicals, and the study was interesting in that regard : the vineyard workers had 11 times more residues than residents living far from the vineyards, and there was 5 times more residues in non-professional residents living in the area than in residents living far from the vineyards (page 4). And so on. The study also says that France is the 1st European country for the use of pesticides and the 3rd in the world, with a total of 62 000 tons of active chemical purchased in 2011. Now, this is about viticulture in general, but let's remind that in this field Champagne is the champion compared to the other French regions. Grounded garbage Not that I'm out for a disparaging post on Champagne, but this story is about what you see and learn while walking through the vineyards there, something we should always do in person and not be content with what the glossy magazines tell you about such or such wine region, and the view more often than not, was grounded garbage.. Here is what Mr Philip Wagner wrote then in 1969 (read it all) : half-rotten grapefruit rinds, egg shells, pieces of bone, remains of chicken, cabbage leaves in decay, torn cigarettes packets, all this for a higher grades of phosphate, nitrogen and humus. The odd soil-enrichment method was discontinued in 1997, as found on this key-dates page of Champagne (click to enter, then browse to the 1990s' (excerpt from 1997): [Opening of Champagne Bureau in Japan. The CIVC forbids the spreading of urban waste in the vineyards.] ), but until today you still see all sorts of plastic remains waiting for their longer decay. In this Swiss TV report (in French), you'll review this garbage issue, the pesticides sprayings (sometimes made by helicopter) and the issue of heavily-polluted water tables sitting exactly on the viticulture zones (in red on the map). The Swiss TV selected Vincent Laval to ask him questions about these issues (thanks to Oliv of lapassionduvin). strange red dots along the rows But there was another thing that took my attention that day during our walk along the vineyards of the region, this was these brownish scars in the soil between the rows, like every meter and with a hole as if some machine had punctured the vineyard all along and injected some sort of chemical (or was it the bleeding of the soil ?). I first thought that it was just to aerate the compact soil and bring some oxygen in it, but I learned that this was caused by a very common practice in the area : the injection of iron chelate (also known as FeEDTA or Ferric Ethylenediaminetetraacetic Acid) with the aim to boost the foliage push at the beginning of the season (right when we were there). It was quite strange to walk along the rows and see all these brownish scars, it's like if these soils had exhausted all their natural reserves and the growers were relying on some sort of desperate major surgery or emergency life support to keep them working. The chemical industry offers a range of iron chelates, you choose, and some of them are even compatible with organic farming. Notice that on their "Qui sommes nous" page or "who are we"), the company says that their solutions are in line with the Grenelle de L'Environnement [which is a State-sponsored inter-professional circus where everyone turns to be promoting what they call sustanaible this or that]. Walking along a typical Champagne vineyard On this video you can see the punctured ground and the tiny pieces of plastic and grounded garbage. The official reason behind the iron chelate injections may be the iron deficiency noticed in certain calcaireous (limestone) soils, but as this scientific article (in English) underlines it, the consequence of iron deficiency is a drop in yields, and that's the real issue here in Champagne where yields of 92 hectoliters/hectare are routine. We also learn in this piece focusing on different crops that the agriculture bio industry also designed sulphuric injections as well as urea phosphate injections to correct soil deficiencies. Agriculture has really many faces that I'm not familiar with... When you read this article you discover that like the wines are being routinely corrected in the cellar, the conventional-agriculture soils are being tampered with in order to keep getting the desired yields. The composition of the invention can also comprise one or several additives, such as a nutrient, crop health improving agent and/or formulating agent. The nutrient can be one or several of the following: primary nutrient (N,P, K), secondary nutrient (Ca, Mg, S) and/or micro-nutrient (Fe, Mn, Zn, Cu, Mo, B, CI). The crop health improving agent can for example be a pesticide, growth regulator or pH regulator. The formulating agent can for example be a dispersing and/or stabilizing agent. The effect of the injection of a solution of 50 kg ha urea phosphate and 40 kg/ha Fe- EDDHSA in 2500 liter water, 20 cm from the vines at a depth of 30 cm was compared with the standard fertilization practice on vines without iron addition. The trial consisted of 4 replicates. Each replicate consisted of 4 rows of vines, which were treated with the novel solution and 4 rows of vines, which were treated according to the traditional practice. The traditional practice does not include the application of iron chelates. From each replicate the two middle rows of the 4 treated and the 4 control rows were harvested. The results show the average of the 4 replicates. The trial was carried out on the grape variety Meunier. The total area where the trial took place covered 1.2 ha. [...] During the various growth stages the effect of the soil injection with the combination of urea phosphate and Fe-EDDHSA was followed and compared with the traditional treatment.The yield of grapes was found to be significantly higher in the treated rows. Furthermore it seems that the treatment increases the natural sugar content of the grapes, a very important factor in wine making. [Wow !... you inject iron and you not only get higher yields in return, but you get also more sugar, I love these chemicals !] Retired but still at work And to finish on a more positive note, here are a few words about this man whom I spotted working in a small parcel near a village of Champagne : I exchanged a few words with him and he was debudding his own vineyard, actually his son was now in charge but he said he always kept tending his vineyard to keep the contact with his life's work, even though he was retired. He lamented that nowadays winery owners and growers don't set a foot in their vineyard, they send specialized teams of workers and lost the connection with their vineyards and land. He also said that in the past the growers would always hire some old person or a village guy with disabilities for the vineyard tasks, just to help him/her make a living, even though the person was not as efficient as other workers. Now, he said, there's no room for this sort of sharing with less-priviledged neighbors because the job is usually made by professional teams. I enjoyed speaking with him, because whatever the farming he had on his vineyard today, he had kept the real connection with his work and kept doing the basic manual work on his vines. I'm going to put the link of your article on my Blog! Facinating article. I wonder if this practice is so prevelent elsewhere in the world, or is it just used in high yield marginal climate locations? The Horror! I can hear the vines screaming and the ancestors of the Champagne region rolling in their graves. Sad that $$$$ far outweighs anything else. Looking forward to getting back to natural farming methods where humans share the land with nature. We are all in this together. Nice to hear the story of the older gentleman and his connection with the land/vineyard and the people in his community. He should be giving lectures to the new generation (of which I am part of) as we have lots to learn. This is a very interesting article and whilst I believe there is a lot if truth here I also feel the main point is scaremongering. Having said that , living here I will be the last person to say that there is no spraying. In fact I wrote an article last year stating how sick I had gotten from the first sprays http://www.missinwine.com/blog/2012/05/carolines-champagne-is-sustainable-or-organic-farming-the-gateway-to-the-future/. I also am working on a pro0ject about the terroir here in which I focus on organic and biodynamic growers and others which work in a "sustainable' way - ie they focus on a living soil. And there are quite a few people that are doing a great job. I feel this article puts everybody in the same basket which is really not the case. I'm a wine blogger (wwww.arnoldwaldstein.com) but also the founder of a wine community (www.localsip.com). I will share in both places. Discussion on @thelocalsip Facebook and Twitter pages has taken on some steam already. You should pop in. My point is not scaremongering, although the result could be interpreted like this, my point is just to show the often-unseen side of the wine : the vineyard, I didn't make this up and I didn't walk kilometers to take these pictures, these scenes and soil traumas just jumped at my face as soon as I walked a few meters among the vineyards. This said, I'm sure things are slowly changing, but the vineyard and soil outlook just didn't show it where I stopped. Speaking of yields, I recognize that I'm used to visit growers who don't need the Appellation-body ruling to decide what yields they'll get, they just choose yields that fits with their quality target. Another world for sure. It's a good thing to point out the lack of efforts of many producers for business motivations, but please don't use this "tabloid" tone...Your article is full of shortcuts and imprecisions (especially regarding the iron chelates). The garbage manuring was presented to producers as the most ecological thing ever...until 1992 where they discover that it was a lie. I agree with Caroline, and I would call this kind of article "champagne bashing" which is becoming more and more prevalent, or at least it seems that way to me. You are the second blogger in less than three months to mention (again) the old "garbage in the vineyards" bit (Jim Budd, see link http://jimsloire.blogspot.fr/2013/04/the-importance-of-terroir-in-champagne.html"
So you met and spoke with ONE retired grower. I have lived and worked with my husband and his family winery in southern Champagne for over 20 years and if you want to REALLY know what it's like to run a vineyard, I invite you to visit us in the Aube. We are grower-producers trying to encourage our vines to produce the very best they can, in a VERY uncertain and difficult climate. No, we are not saints, and dealing with nature means choosing the best alternative when there is not just one single solution, weighing the pros and cons between each option. Let me give you an example. We have been plowing our vineyards for the past 5 years. But in order to keep the weeds under control, we need to plow several times during the season, using our petrol powered tractor (sorry, we don't have horses....) Thus instead of applying one round of herbicide, we end up polluting the air more than our colleagues using weed killers. So there are always trade offs. Yes, sometimes we in champagne, as in other wine making regions, make mistakes. But as Caroline pointed out, champagne is trying to get it right, and much progress has been made. Although there are those in champagne who are out there just for the money (yes, that exists..),Stefano is right - there are many small producers like us who are making champagne out of a sense of legacy and pride. Check out the "Vigneron Indépendants de Champagne" website to find out more. Benoit, Caroline and Jennifer (hello Jennifer!) are essentially right, but Bertrand is right to show that video: it was chilling, I have seen a few bad vineyards in Champagne, as I have seen in every region around the world, but never one that so dead. I am very familiar with the region and that was uniquely disgusting. If you “didn't walk kilometers to take these pictures, these scenes and soil traumas just jumped at my face as soon as I walked a few meters among the vineyards”, then you must be the unluckiest man on earth Bertrand. I don't want to be anywhere near you in a storm when there is lightening about! But you have only done half job Bertrand and half a job is no job at all. On the one hand, it is disingenuous to give the impression that this is a common sight in Champagne, and on the other, it is totally lacking in moral fibre not to name the owner of this shameful vineyard. It is admirable that a French writer could and should be so critical of his own country. It shows objectivity. But the first thing any writer should do after filming such an horrific video is to track down the owner of the vineyard and name and shame. It is a relatively simple journalistic task. There is a general tone about this piece and some of the comments that small growers are good and big houses bad. Some are, of course, but some of the most forward thinking viticultural practices and healthiest vineyards (in terms of microbial biomass and worm population) in Champagne are run by the largest houses, but they own barely 10 per cent of the vineyards. More than 90 per cent of the vineyards are owned by small growers. However, of the 15,000-plus growers, only 3,000 or so actually make and sell their own Champagne. The vast majority of growers who sell their own wines (like Jennifer Fluteau) look after their vineyards beautifully, but there is a significant chunk of the other 12,000 growers who do not. 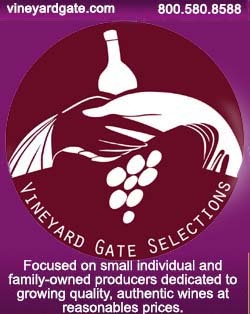 Most do, either directly or indirectly through vineyard management by the houses they have long term contracts to supply. The significant chunk of non-RM growers I refer to are the speculators (which would take an entire article to explain, and I cannot be bothered), but even amongst the worst of those, I have never seen such a disgraceful vineyard as the one in your video. You must name and shame. Benoit is correct when he writes “garbage manuring was presented to producers as the most ecological thing ever”. In fact, the idea was conceived and pioneered in the 1950s as a biodynamic solution to municipal garbage disposal in Oakland, California, by Dr. Ehrenfried Pfeiffer, Rudolf Steiner's closest associate. What people either do not know or conveniently forget is that the 1950s was the height of the spread of machine-managed, chemically-assisted monoculture worldwide for a good reason: a world war had made tens of millions homeless refugees (11.5 million Germans alone), people had to be fed and because the war had virtually wiped out a generation manpower had to be replaced by machines and yields pumped-up. None of this excuses any excesses in vineyards today, but it does explain where agriculture in general was coming from and although the French have not been leading the way in adopting more sustainable agriculture, French viticulture is leading the way compared to other forms of French agriculture, and within French viticulture Champagne might not be the leading region (because its uncertain climate is part of the reason for its success and the more rot-prone a vineyard is, the harder it is not to spray), but Champagne has one of the highest conversions to sustainable viticulture in the country, as well as one of the fastest growing number of producers qualifying for the much wider ISO 14001 environmental certification (currently 27% of Champagne business volume). It could be better, of course. Things can and should improve, and on environmental issues that is the way they have been heading in Champagne strongly for the last 15 years or so. If you want to follow that progress retrospectively, get hold of the annual Guide Practique Viticulture Durable en Champagne back to 2008 when it was Viticulture Raisonnée en Champagne, to 2001 when it was Viticulture Raisonnée & Environment, to 2000 when it was Viticulture Intégrée & Environment, and before, when lutte raisonnée was just a section in this publication. You could improve too, Bertrand, by naming the owner of the vineyard you just happened to stop your car in front of and wander into. If it is a large group or a true RM, I'll eat my hat (and hit them with a big stick). Secondly, there's no such thing in my tone that small growers are good and big growers bad, I've always said that small conventional growers/wineries are certainly as heavy-handed (if not worse) in their vineyard management and cellar practice as the large estates, that's why I didn't follow the Mondovino message in that sense. Unlucky or not, that vineyard is not representative. If your job "is not to give names but tell about things encountered in the vineyard ... that has been reported to me as mainstream" then your job is to regurgitate the opinions of others. I have now reported that to you that the vineyard in your video is not representative, so the the basis of your own standards why not accept that, rather than the grossly ill-informed opinion you were fed? I made no comment about iron-chelate, but if you want one, here it is: they don't need it to reach whopping great yields in Champagne. Anyone who has followed Champagne for decades knows that. On the other hand, in a region that has the highest active-lime content in the world, chlorosis is a big problem and that is pure science. By refusing to name the owner of the dead vineyard you claim to be representative of mainstream Champagne, you are as guilty as those "glossy magazines" you claim carefully keep things like this in the dark. And, finally, if producers who adhere to agriculture raisonnée do not mention this on their labels (and most do not), but organic and biodynamic producers declare their certified status, who - I ask - is "playing the sustainable card"? Having a dead soil and still claiming sustanaibility IS playing a card, while displaying a certification (for an organic grower) is just showing that he's serious in his approach. Most of the growers I visit don't even ask the certification, by the way, sometimes because this certification doesn't take into account the additive-free vinification they're doing (you can be organic-certified and still correct your wine in the cellar). Eversince the world began there have been frauds and mischievous actions in every segment of industrial and agricultiral activities, wherever money is involved, Why should vinegrowing, vineyard management be an exception and why should Champagne be an exception? As everyone knows white is never 100% white. I usually spend several months in Champagne visiting domaines, maisons and coops as well as vineyards, but have never seen such a parcel lacking any sign of life. You Mr Celce are right to show this material to your readers since everyone has the right to know what the wine he or she drinks is made from. However, the material is by far NOT representative. All in all I have walked hours in different corners of the vineyards of Champagne without encountering such disgusting parcels which is the 'fruit' of human activities. Unfortunately, the cellars and the cupboards are full of skeletons that have no names. Why are you hiding the one you are describing here? The consumers who might drink this person's champagne and the honest producers need to know his/her name. You cannot refer to the usual clichés 'someone said', 'I was informed', 'people say' etc. ....This person poisons the organism of others, so I am convinced you have to name him/her. You probably remember even Monsieur Tricatelle's name and his background operations were revelaed. This is now cardinal. Surprising comment. This vineyard has nothing exceptional in Champagne, while vineyards with weeds growing freely on living soils are known to be still a rare thing.